The Garden Workshop at 34 – 35 Hatton Garden are manufacturing and designer jewellers who have been based in Hatton Garden for over 32 years. Over 80% of their business is bespoke with special commissions ranging from as little as £100 to many thousands of pounds, featuring gems from their large selection of rare and unusual pieces. 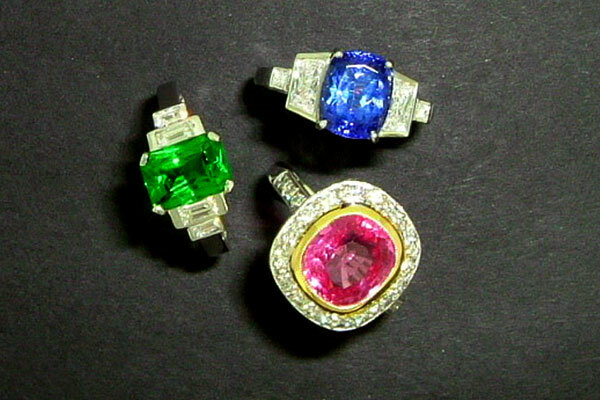 Some of these special stones can be viewed at our on-line showroom. Spring is here so lets move on now …. Fashion, Fake and Fun – the jewellery business re-defined!